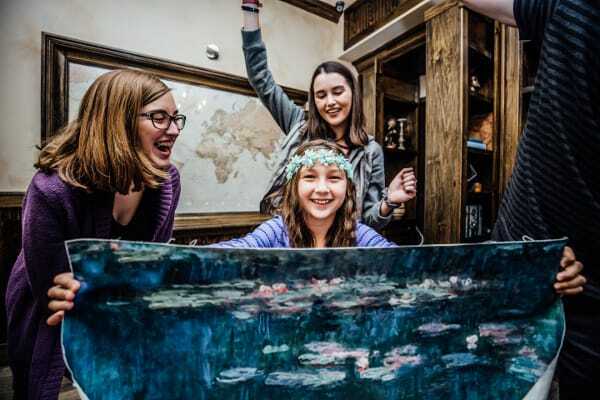 Home»All»Birthday Party Venues in Houston – Where to have your Kid’s Next Birthday Party! Birthday Party Venues in Houston – Where to have your Kid’s Next Birthday Party! 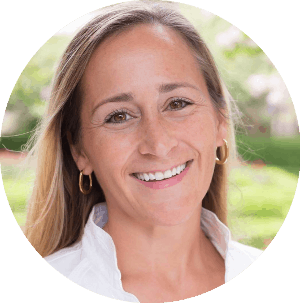 UPDATE: See the latest parent recommendations HERE! It’s clear from BigKidSmallCity reader feedback… Houston parents want to know where to host their child’s next birthday party! Below is a working list that will get updated frequently. If you want to recommend a spot, just send me a couple sentances on your experience (Jill @ BigKidSmallCity . com)! From the research I’ve done, there are hundreds of options for birthday party venues in Houston. If you have a place you like, contact them and see what they have available (and then tell BigKidSmallCity about it)! Parties for 3 and older. Kids do gymnastics, trampoline, foam pit and games for 1 hour and eat pizza and cake for 30 minutes. The venue is not super fancy, but the kids have a lot of fun! The Escape Game is a live 60-minute adventure. You and your team will select a challenge and will have one hour to complete your mission and escape. They offer several unique experiences, all happening in a completely immersive environment. You may be ​on the hunt for gold, in prison planning an escape, or in a museum stealing back a piece of art. ​Call at (713) 999-1496 or inquire on the website​. Chat support is available Monday – Friday 9:00am-5:00pm. 32 guests can play The Escape Game at once and we have a party room for food & beverage! 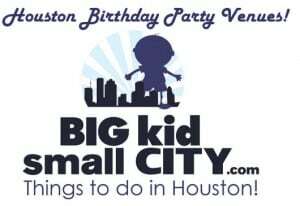 Sunni's BigKidSmallCity Inspired Houston Birthday Adventure! You should mention the Train Museums in Galveston and Rosenberg. Crocodile encounters off 288 south of the city, best party ever! What are the kids ages? It seem scary but I am willing to give it a go! Anyone know of a park with a clubhouse available to rent on the West side? My son has a December birthday. Looking for a place to go indoors if necessary. Is paintball too rough for most teens? I didn't see any paintball places listed. Any input would be helpful, thank you! Any comments on the Clay Road Rest? I have been to a party at Evergreen Pool in Bellaire, before it opened for Memorial Day. We had the pool to ourselves for a long time. That is the best idea I have to right now! My daughter is turning 5 in July, I”m looking for a splash pad to rent. I know there are a few scattered around houston, but how do we go about having a party there? Is it just public? Our total budget is under $500 that includes food and drinks. I’d like to do a cupcake decorating party for my daughter in Sept. Do you know of any bakeries that have private rooms where we could do this. I tried Ooh La La but they said no (too messy). Thanks! I have some pretty specific things that I’m looking for. Most importantly, we have a lot of guests (nearly 40 adults and 20 kids, ranging from 2 months to 16 years old). I need somewhere to accommodate all of these people. We had his first birthday at our house with 40 guests, and I think it was just too many people. I don’t want to do that at home again. One of my top choices was Wonder Wild, but we would need to book two separate rooms next to each other (that aren’t connected), which I feel would be awkward splitting the party in half like that. I have also looked at placed like Pump It Up, the Children’s Museum, Gymboree, and the Little Gym but had issues with each of them. For example, I think my son is too young to enjoy Pump It Up, and I don’t remember there being adequate seating for adults, either. The Children’s Museum would be just TOO expensive, especially since you have to order food from them and cannot bring in outside food. Then there’s the hassle of parking, and they can only accommodate 50 guests. Gymboree is only geared towards kids age 1-5 (only 8 of our 20 kid guests fall into that age range). The Little Gym has been a hassle to deal with already, and we haven’t even gotten to the party booking stage, so I’m reluctant to deal with them any further. Also, my husband feels like they don’t have enough for the kids to do, and again, it seems like they’re geared towards kids in the 1-5 age range. My last resort is a local park, but then there’s still the issue of the heat and potential rain! I’ve been thinking about his birthday since May and still haven’t found a good solution. We’re only about 6-7 weeks away from his birthday, so I’m desperate at this point!! Another major issue is that I want a location IN HOUSTON, not Sugar Land, not Katy, not the Woodlands, etc. Parks and pools might be a good option because of the numbers, age range and price tag. I know you can rent the Quillian Center, which has a big pool and a splashpad and seating for everyone. You could also do a park (with a splashpad in the heat). Like you said, you need to bring in a lot of stuff… but the price is better than somewhere like the Children’s Museum. Oh, and another idea suggested was Clays Restaurant (or another restaurant). It will have room for lots of people and good for all ages. Clays is outside inner Houston… but maybe another big place or party room? Moms say that renting their venue includes a 6 lane bowling alley, game room area, indoor playground, and banquet room – all for $200 – an after hours party is $300. We are in the same boat. Thought you werever posting about us, difference our son turns 2 at the end of October. Did you end up finding anything? Our last resort is Chuck E. Cheese…yikes! Please add Houston Party Playland under the indoor play areas! It’s bigger than Wonderwild. Such a great Article about all party and events for any wedding ceremonies, birthday celebrations, marriage party, corporate gatherings, and family dinner at places of your choice in Delhi with best price. Any suggestion for a one year old’s birthday party? I’ve got a lot of guests to accommodate and it’ll mostly be adults with about 20 kids, so total 60-80 people. We will probably have a gold and pink theme with kids entertainment like a magic show or a clown. Mostly, it’ll just be grown ups socializing and eating since we don’t have many friends with kids. I’ve been looking for a venue that’s like a clubhouse or a reception hall but we have a budget of $300 for the venue rental and I can’t find anything in that. We live in Sugar Land and I looked at the Sugar Land Banquet Hall connected to the Tempura restaurant but they are quoting me above $2000. I wanted to see if I could have the party at the Riverstone Clubhouse, but I need to be a resident there. Any suggestions would be greatly appreciated! I’ll ask around… For the budget, my first thought is a City of Sugar Land building. I know there is something at Lost Creek Park… right next to the playground. (But I don’t know what it looks like.) Maybe this or something similar would work for kids and lots of adults. Any new place in town for a 11 year old boy birthday party? It seems that they have done it all and I have no new idea…. Maybe a near laser tag place for tween? You forgot to mention indoor rock climbing and Texas Rock Gym for kids birthday parties. They also do team building and group events. Speedy’s Fast Track is a great place to have your kids party. They have go karts, laser tag, mini golf and a wide selection of arcade games. We’ve had a few parties there and we love it. They can accomodate small potries of 5 to big parties of up to 60 or maybe more. We were also able to bring in ouregards own food and drinks and decorations. And not to mention their prices are sooo reasonable. Great list! Thank you very much. Is there any feedback on what a party at Keggs is like? It seems like a really fun, unique option! I’d love to have feedback on what a party there really looks like. Thanks! Thanks! I have not had my own party there, but I will ask the group. Wonderful post! For the biggest day of your life, treat yourself to a birthday party worthy of a tale in an enchanting and welcoming location for birthday hall Houston TX which will make your big day memorable. This is the website for Quilliancenter, please update because the other one takes you to a scam site. Nice post! This post is so helpful and inspering.